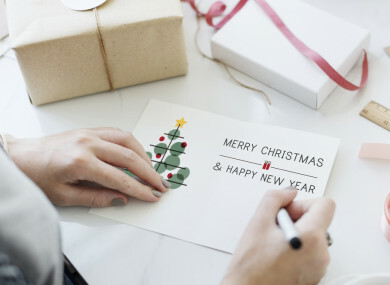 HOW LATE CAN you leave it before posting your Christmas letters this year? An Post has published a list of the latest you can post letters to ensure they make it in time for Christmas. The standard Irish stamp costs €1 and international stamps range from €1.35 to €1.50. Post offices will close at 1pm on Christmas eve, and all post offices will closed between the 25-28 December (inclusive). Normal business hours will apply on 29 – 31 December, post offices will close on 1 and 2 January, and normal business hours will apply on 3 January and after that. Email “You need to send letters by these dates so that they arrive before Christmas”. Feedback on “You need to send letters by these dates so that they arrive before Christmas”.